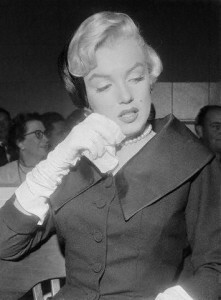 This previously unpublished photo, taken sixty years ago by Los Angeles Mirror photographer George Lacks at Marilyn and Joe DiMaggio’s divorce hearing on October 27, 1954, shows the immense strain MM had been under, and a resolve to move on with her life. 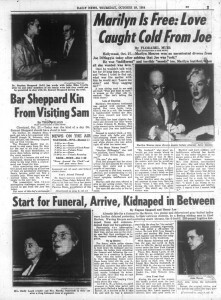 The Mirror ceased publishing in 1962 – the year Marilyn died. 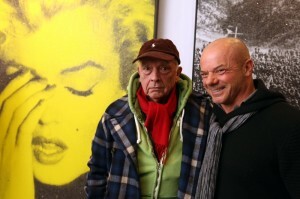 Russell Young is another British artist inspired by MM. 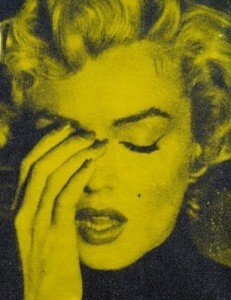 His ‘Marilyn Crying’, coated in diamond dust, has become quite popular in recent years. It has inevitably been compared to Warhol, though personally I like the tenderness of Young’s image. 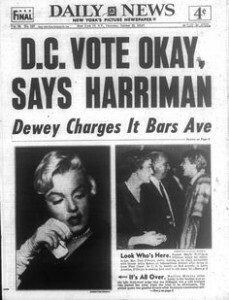 What Marilyn Crying arguably lacks in originality, however, it may gain in context. 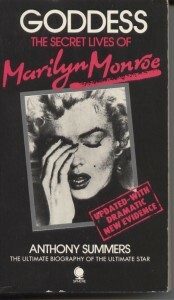 The image – based on a photo by George Silk – was previously used for Anthony Summers’ 1985 biography, Goddess: The Secret Lives of MM. 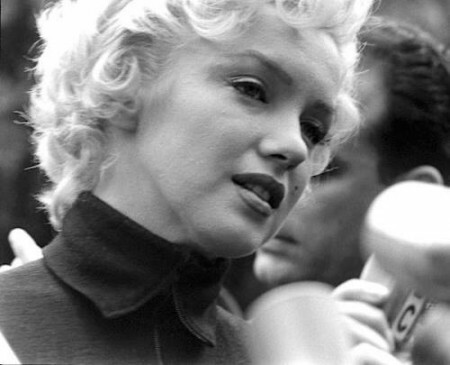 It was taken during a press conference in October 1954, when Marilyn announced her separation from Joe DiMaggio. Disturbingly, the image reveals a bruise on Marilyn’s forehead, perhaps the result of spousal abuse. 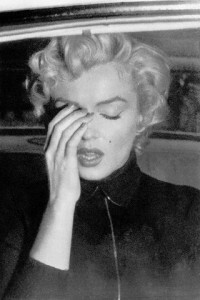 ‘Marilyn Crying’ is currently on display at Young’s latest exhibition, Wild at Heart (perhaps riffing on the title of David Lynch’s cult movie), at the cheekily-named Imitate Modern in London’s West End. 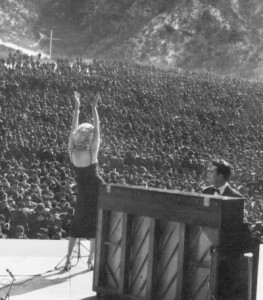 One photo taken at the exhibition appears to show Young’s image juxtaposed with a press picture taken several months before, when Marilyn entertained US troops in Korea. 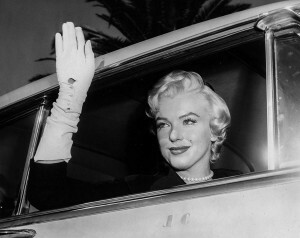 It was one of the high-points of her career, but some felt it also marked the dawn of her marriage’s end.